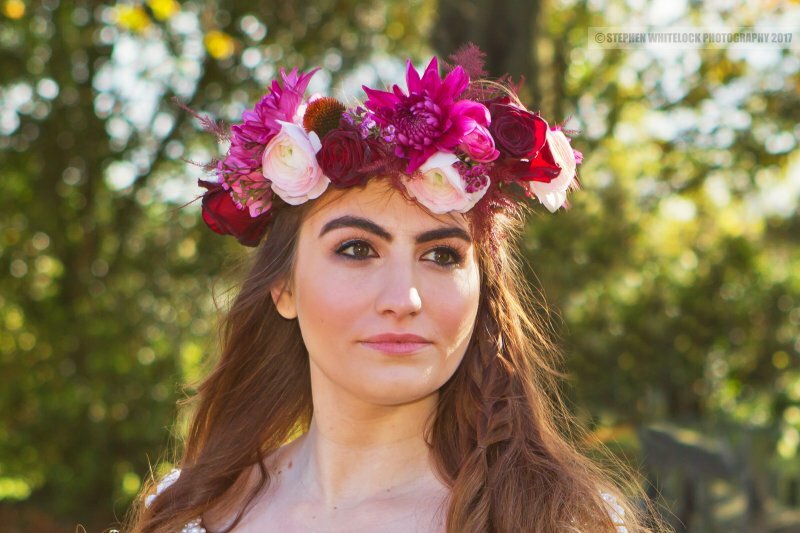 Get festival ready by learning to create your own stunning handmade fresh flower crown and learn something new on your hen weekend. Come and spend a couple of hours in our lovely rural workshop in the Cotswolds being creative on one of our Flower Crown Workshops. During the 2-hour workshop, you will learn how to hand wire a flower crown, you’ll have a lovely headdress and the skill to create crowns suitable for your own wedding or festival themed celebration. The workshop is great for people with or without experience. Don’t panic if you’ve never done anything like this before as our expert florist will show you how. Make sure to bring your phone and take photos of your gorgeous creations afterwards with all your hens. There’s plenty of parking right outside our workshop. All materials and equipment are provided. Plus, some light refreshments will be available including a glass of fizz and delicious cupcakes. Please contact us to book your Flower Crown Workshop.